One of the most powerful ways of staying motivated is doing things with others, preferably during a limited amount of time with a clear goal. That is exactly what the sensible character challenge 2014 is about. Even though the challenge has now reach its last phase, it’s still not too late to join, just set a character-learning goal that you feel is achievable before the end of June and you’ll not only boost your own learning, you’ll also have the chance of winning some great prizes, including character posters, language learning products and free time on Skritter! If you want to know more, please check the post that launched the character challenge. If you want to sign up, all you need to do is set your goal for this month and include that in a comment. The rest of this article will be for people who are already in the challenge. I will write a little bit about my own experience and also encourage you to write about yours. Once everybody’s had a chance to post their progress reports, prize winners will be announced! Hanzi WallChart posters – Two sets worth roughly $50 will be distributed randomly among active participants. These posters aren’t only informative, they look cool too! You can see the posters here. I will announce the winners here on Friday (June 6th), so you have a few days to post your updates. Note that only people who have officially joined the challenge are eligible. Also note that people who join the challenge now will have to wait until the end of the challenge (June 30th) before becoming eligible. I will also share some important insight into learning characters. 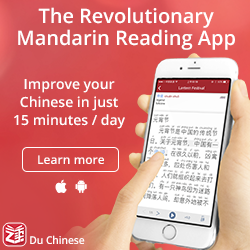 One of the major benefits of using your phone to review characters and words is that you can learn Chinese or Japanese wherever you are, whenever you have a few minutes to spare. It only takes a few seconds to start and you can easily interrupt your learning with no ill effects if something more interesting happens around you. This is much harder to do with any of the major skills listening, speaking, reading and writing. For instance, if you just have two minutes to study, it doesn’t make sense to start reading a new chapter in a book or listen to a new podcast, but you can certainly clear a dozen reviews in that time! Therefore, whenever you can, spread your reviews out through out the day. Don’t review tones if you can speak with a friend instead. Don’t write characters if you can read a book instead. Don’t practise definitions of words if you can listen to a podcast instead. If you want to learn a lot of characters, such as if you are in this challenge, this is even more important! This is about time quality, something I’ve written more about here in case anyone wants to know more. If you pay attention to your daily schedule, you will find that there are lots of slots to review characters that you probably weren’t aware of! List overdose (or simply LOD) describes the ingesting or constant studying of vocabulary lists in quantities greater than are recommended or generally practiced. LOD may result in very little actual linguistic improvement (emphasis added). I personally have a somewhat ambiguous relationship to this, because I think that you can use word lists quite effectively, provided that you are combining it with real-world usage and large volumes of input. So, when I say that I’m adding so and so many characters from a list, that’s not the only thing I’m doing! I’m also reading tons of Chinese and listening to even more. This will make sure that you don’t end up with a brick yard instead of a house. Sure, knowing just one way of using a word doesn’t mean you know that word perfectly, but it is a lot better than not having any clue at all of how it’s used! I will announce the winners on Friday by updating this article, so make sure you post your progress report before then. Stay tuned! Good luck everybody for the final stretch of the challenge! I reached my goal for milestone #3 on May 29! So the goal was quite good this time. I’m not sure if I would like to change anything, I think my Skrittering is quite time efficient. Maybe spread it out more over the day, but it’s hard if you are stuck on a long bus or train ride and have nothing else to do. Looks good anyway, Skritter is definitely part of my minimum effort approach to learning character, something I will write about relatively soon (I have a draft ready). Oops, didn’t mean to make everything cursive, and don’t know if it’s possible to edit the post. Don’t feel too bad about it, this is also about habits and daily progress is good even if it’s not as much as you hoped. In some occasions I have lost track of the characters I have learnt. That’s maybe due to the fact that I consider double characters words just like one character… and that’s a bit confusing. Moreover I have a hectic work life and it’s hard to keep up with the challenge. Nevertheless I’m almost in line with my objectives. I’ll probably bump my final goal up from 165 to 200, to try and force me to be more consistent with my day to day studying. Yay, for the finish line ahead! I just saw that you’ve awarded me the poster – I can’t stop smiling! 😀 Thanks so much Olle! My goal set for milestone #3 (Mai 31th) was: +400 new characters. Today I reached 3321 characters, +26 chars. I guess my final goal of 3395 characters is just fine. I’m planning to slow down a bit and concentrate on reinforcing the new words and characters already learnt. Besides I really like the idea of adding context to the characters and words I have in my lists – so for the last weeks of the challenge I’ll spend more time on this aspect of learning. Slowing down a bit will definatelly help too. Do you mean that banning didn’t work or that you didn’t do it? Nice progress anyway! Well, I did ban a few words, but I just forgot to review my band words afterwords. This is of course a manageable problem. The main problem I have is that I’m not exactly shure when it’s the right time to ban, since coming across a new character/word, it’s just normal that I don’t know (exactly) how to write it. Banning it right away feels wrong. In addition for me it often needs some time to have new mnemonics stick. So I’m now trying to have a mnemonic for all characters (where necessary) in place. Besides I’m adding some examples now and then. So probably the right time for banning would be if I failed on a character let’s say for the third time although I have a mnemonic for it in place and just forgot it again, right? I met my goal on paper, but I feel I failed the purpose of setting the goal. I wanted to become more consistent and get my due words down to zero – which I did. However, my overall time spent on skritter was less than I would have liked. So, I’m going to be honest with myself and say I failed this milestone. From this point forward I am going to try for smaller blocks of time and more days studying per week. Instead of one hour twice a week, do 15 minutes everyday. I will maintain my original goal of adding 100 more characters by the end of June. That feels like a good approach in general (going for less on more days)! I’m just starting the challenge – way late! my goal is 100 new words over the next 30 days. I have Skritter and have not been using it; this should get me back into it. 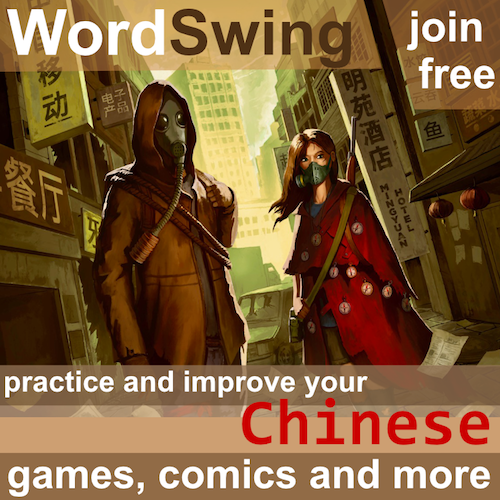 For milestone #3 I planned to reach 300 characters (complete HSK 2 wordlist)by 31st May. 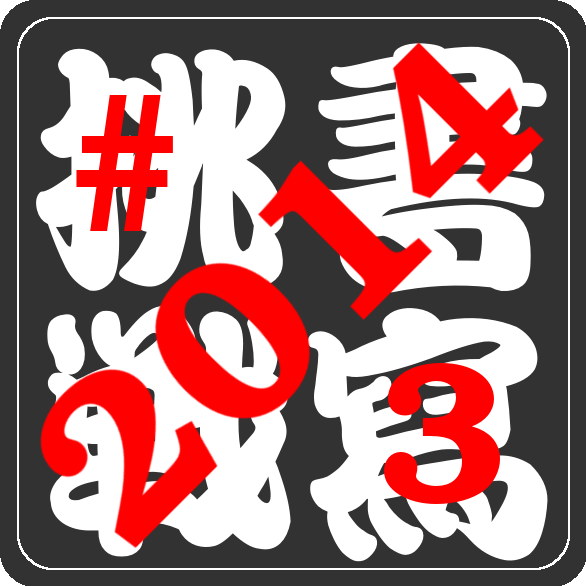 I met my goal because I completed HSK 2 wordlist (300) + 40 new characters from HSK 3 wordlist. Total characters learnt: 340. I met my goal ahead of time and I still could learn more characters (I could have learnt even more), anyway I slowed down a bit because I’ll take HSK 2 exam on 14 June, so I focused on reviewing and on doing exam simulations. I should speed up and I hope to be able to complete HSK 3 wordlist (600 characters) by the end of June for milestone #4. On July I’ll go to China and knowing the 600 characters of HSK 3 wordlist is surely better than knowing the 300 characters of HSK 2 wordlist. 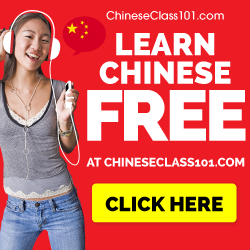 I’m trying to learn as much as possible before the trip, so I can leverage what I know for making conversations and to further improve my Chinese when I’ll be in China. Well done, good luck for the final stretch! I have failed all my milestones so far. Things are busy and I have young kids. However, I am managing to maintain my Chinese and this is challenge is keeping me active if only in small amounts. My new goal is 100 more words by the end of milestone 4. So at least progress I hope. Progress, not perfection. Every step counts! I made my goal for this milestone (1252 total characters). I missed the first two milestones but made this one with 4 days to spare. My goal for the end of June is 1500 total characters. That’s about 250 more and only less than 10 per day. I plan to continue at my current pace of 20 per day so I should finish early and have time for review. Great, nice blog post too! What I’ve achieved is 656, so above my overall goal. 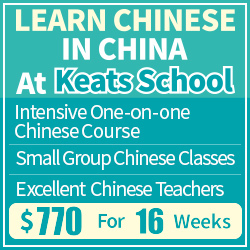 Well done everyone who reached their goals & to those who didn’t 加油 – you can do it! Milestone #1 (April 8th): +125 (2412 total) DONE! Milestone #3 (May 31st):+220 (2787 total) DONE! 216 new characters more to finish the challenge! Certainly looking good, just need to keep it up for one more month! I seem to be under goal but I have met my primary aim of adding all the HSK 4 vocabulary and am extremely happy about that! I will try to make up by adding some common words I use in daily conversation but don’t know the characters. I’m pretty much on track with my character learning, but I am not quite sure how to evaluate my results. At what point can I consider a character “learned?” Even if I manage today to produce all of the information about a character (how to write it, recognize it and pronounce it), what about tomorrow? I’ve been using Anki to practice and test my knowledge, but it still happens quite often that I find I have forgotten part of word that I thought I knew. I guess this will always happen to some extent, but it has led me to adjust how I’m learning the words in the first place. In any case, whether I remember everything or not, I’m quite sure that making the effort with this challenge has improved my overall Chinese ability quite a bit. I think this is up to you to decide. I use a relatively loose definition that means that i count something as learnt once it’s left the span of just a couple of days in my SRS. I’m roughly on target :). My goal was to complete the third section of HSK4 and I’m already into section 4. Some of the earlier sections are still a bit shaky, but I’m reasonably happy with how things are going. It’s not as if you’ll never see those characters/words again, right? This gives you the foundation, which is still good. During the challenge I have changed my study strategies just to recognize which one is the best for me. This time I keep some strategies from the previous milestone (http://pictochinia.tumblr.com/post/88245695852) and tried a new one that was really funny! I've learned to recognize a bunch of traditional characters and I also can write most of them. But I noticed that I have no practice my handwriting skills with them… like notes, phrases etc. But of course someone have to read it and correct it, so I asked my boss (He's from Hong Kong) to do that job! … and he refused a thousand times. But after a week of prays I could convinced him! He always scolding me because sometimes I made up chinese characters, so he has problems reading my handwriting notes at the office but I keep learning and practice day by day. This strategy helped me to use the characters that I had learned before. And I use the strategies of the milestone #2 to learning the new ones. Great report! The only difference between posting it on time and not is that you can’t win prizes if you post it too late. 🙂 I think it’s good that you’re trying different strategies, that’s one of the main goals with the challenge. Good luck for the final stretch!